Dry electronic equipment if it is wet. Plug in and run a diagnostic test. Separate all components of the computer: casing, keyboard, hard drive, battery, and screen if possible. Make sure the screen does not get wet. Take photos of the computer in it’s damaged condition and throughout this process. Use air nozzle to blow out all dust and soot so it does not clump inside the computer. 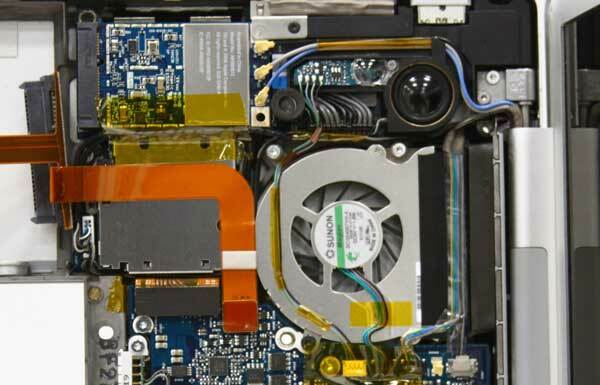 Use a pre soak spray and brush to agitate all areas of the computer including the circuit boards. Pressure wash entire computer, then rinse off while using deionized water. Use air nozzle again to blow out any air bubbles. Perform external wipe down of the battery and hard drive. Place all computer parts and hard drive into drying chamber with odor counteractant to dry and remove smoke odor. Battery does not go in drying chamber. Once dried, turn on once again and run another diagnostic check to make sure equipment is operational. All electronics are washed using deionized water. Cleaning sprays used are green. Using the drying chamber opens the pores of the plastic to allow the odor counteractant to eliminate the smoke odor. Electronics can be cleaned for 1/3 to 1/5 or better than the replacement cost.